New Jersey is one week away from electing a new governor and the entire state legislature on November 7th. Don’t even think about sitting this one out! Here’s why. 1. At the state and local level, YOUR VOTES MATTER! In years when only state and local seats are up for grabs, turnout has been terribly low in NJ, ranging from 40% in 2013, 32% in 2014, and an unbelievable 22% in 2015! 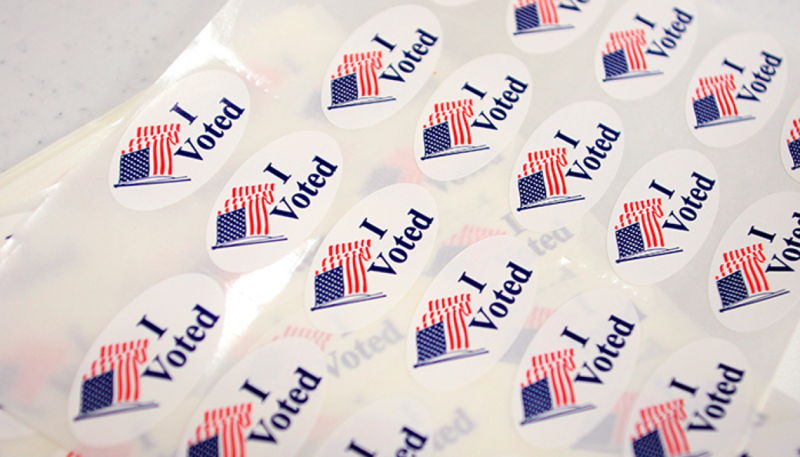 This means that even a small increase in turnout can have a big impact! For example, state Assemblyman Andrew Zwicker won his seat in 2015 by only 76 votes. I’ve even heard of a race for local office that was tied at 62 votes each (62 votes! ), and was decided by a coin toss. Your vote literally could be the difference between defeat and victory in a local- or state-level election. SO MAKE SURE YOU VOTE! 2. New Jersey’s governor gets to appoint the state Attorney General. “So what?”, you say. Not so fast! Attorneys General can bring the Trump administration to court over over its attempts to create travel bans, halt Obamacare subsidies, rescind DACA, and get rid of environmental regulations. 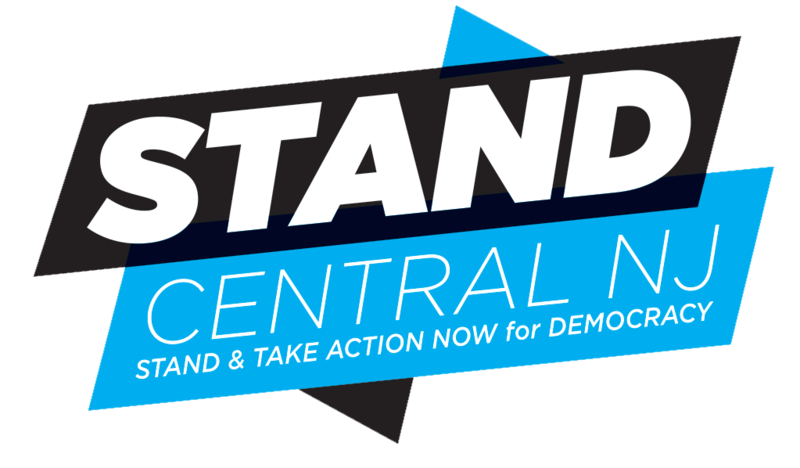 Do you want to fight back against travel bans and fight for healthcare, environmental protection, and Dreamers? If your answer is “yes”, then you need to GET TO THE POLLS NEXT TUESDAY AND VOTE! Our next governor will appoint an Attorney General who could join with the 22 other AGs across the country who have been at the forefront of these fights in 2017. 3. There’s a chance that our next governor will get to appoint one of our U.S. Senators! Yes, you heard me right. One of our current senators, Bob Menendez (D) is in the middle of a corruption trial. If convicted, he is likely to be voted out of the Senate sometime next year. If that happens, the person who wins the governorship next Tuesday will get to appoint a replacement. Do you want to have some say about who represents you in the Senate? Do you want a Senator who will fight for progressive values? THEN YOU BETTER VOTE NEXT TUESDAY! 4. Your votes for local races can have a big impact on the issues that progressives care about. For example: If you’re concerned about the environment, you can elect town council members and mayors who support switching over to clean energy sources for municipal buildings. You can vote for local candidates who support stormwater run-off ordinances to protect local waters. IF YOU WANT TOWN COUNCIL MEMBERS LIKE THIS, YOU NEED TO ACTUALLY VOTE FOR THEM! 5. The whole country is watching what New Jersey will do on November 7th. We are one of only two states electing new governors this year (Virginia is the other one). All eyes are on NJ and VA as politicians begin to prepare for the vitally important mid-term elections of 2018. The way we vote next Tuesday will be a referendum on the damaging agenda coming out of DC. Do you care about what is happening in the federal government right now? If so, THEN SEND A CLEAR MESSAGE WITH YOUR VOTE! 6. When you don’t vote, you give power to your opponents. 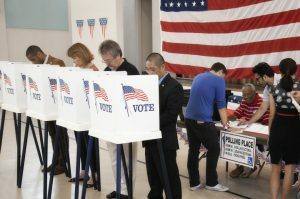 Eric Liu of Citizen University says it best: “There is no such thing as not voting. Not voting is voting — to hand power to others, whose interests may be inimical to your own.” USE YOUR POWER AND VOTE ON TUESDAY, NOVEMBER 7TH! How Can We Fix NJ’s Broken Tax Code? 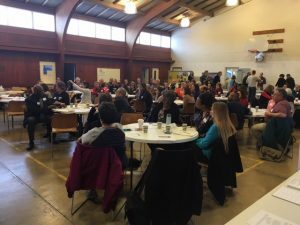 Panelists from three New Jersey organizations and STAND Central NJ gathered on Monday, October 1st, to describe the economic mess New Jersey is in, explain how we got there, and provide a blueprint for getting out of it! At the heart of the solution is changing New Jersey’s tax code, which has unfortunately redistributed billions of dollars to corporations and wealthy families over the last 8 years. For the new governor and state legislature taking office next year, repairing New Jersey’s budget and fixing our tax code is of the highest priority. But elected officials can’t do it alone — grassroots groups and citizens have a vital role to play. 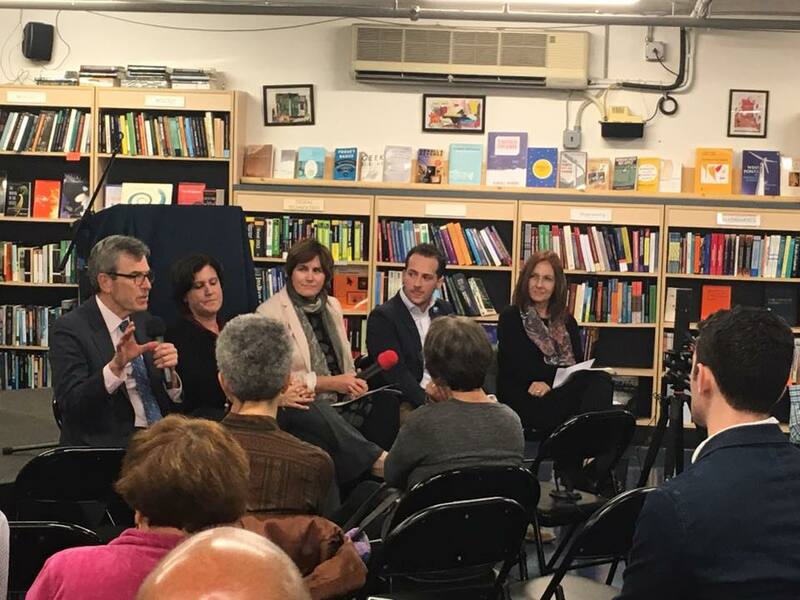 L to R: Gordon McInnes; Dena Mottola Jaborska; Sheila Reynertson; Louis diPaolo; Olga Starr. New Jersey’s economic woes are probably not news to you. Newspaper headlines and the daily lived experience of New Jerseyans constantly confirm their existence. NJ Transit is barely functional, college tuition costs never stop rising, property taxes are exorbitant, the state credit rating is the second lowest in the country, and the state fiscal health rating is the worst! Our state is now a jaw-dropping $10 billion in debt. And now, we find ourselves “on a collision course between years of reckless state budgets…and everything that’s happening at the federal level”, said panelist Louis diPaolo, legislative coordinator for NJ Working Families Alliance. 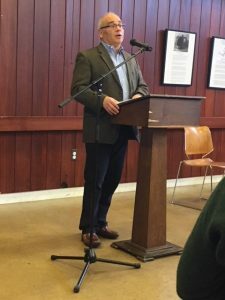 And yet, the state of New Jersey has many advantages over other states, according to New Jersey Policy Perspective (NJPP) president, Gordon McInnes, another panelist. Our central location between New York City and Philadelphia is unique in the country, and attracts all those who work in the city, but don’t want to live there. New Jerseyans represent a highly trained workforce. Our schools are outstanding, second only to Massachusetts. Immigrants flock to our state and benefit the state economy. Over the last 10 years, New Jersey’s economy was worth $2.4 trillion. With all of these advantages, why is New Jersey in such bad shape? These economic maneuvers did not benefit all New Jerseyans equally. In fact, state budgets and tax cuts disproportionately prioritized the wealthiest corporations and families in the state, and not the average New Jerseyan. diPaolo and Sheila Reynertson, senior policy analyst at NJPP, gave two examples: 1) our income tax code is regressive, with New Jerseyans who make more than $750,000 a year actually paying at a lower rate than everyone else, and 2) last year’s inherited wealth tax cut benefited only the 100 wealthiest families in the state, but costs New Jersey $500 million a year! When the state legislature has tried to make our income tax brackets more equitable by raising the highest bracket rates, Gov. Christie has vetoed their legislation. 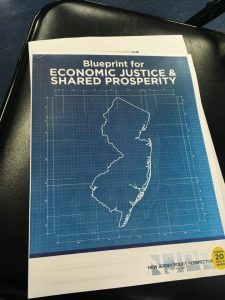 NJPP has a plan: a Blueprint for Economic Justice and Shared Prosperity. The crux of this plan is fixing the tax code so that the wealthy New Jerseyans who have benefitted the most from previous tax cuts will once again pay their fair share. 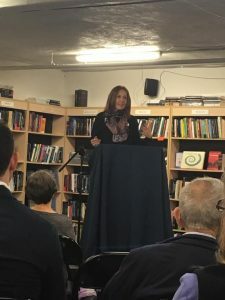 This is especially important at a time like the present, when income inequality is on a steep rise and the state faces severe budget problems, said Reynertson. The Blueprint recommends raising revenue in four key areas: income taxes, the tax on inherited wealth, corporate taxes, and sales taxes. Income taxes: Raising tax rates only for the top 5% of NJ families would bring in over $1 billion a year. Inherited wealth tax: To restore $500 million a year to NJ’s budget, we need to restore the inherited wealth tax that was cut last year (a tax which affects only about 100 very wealthy families, or 1,000 very wealthy individuals). Close corporate tax loopholes by transitioning to “combined reporting” for corporate taxes. This prevents large multi-state corporations who make money in New Jersey from paying taxes only in the state with the lowest (or even no!) corporate taxes. A switch to combined reporting would bring in about $290 million a year, and at the same time help smaller, local businesses compete. Some people in the audience worried that raising tax revenue, especially on wealthy families and large corporations, would cause many wealthy families and businesses to leave New Jersey. Not so, said Reynertson. Research shows that a certain portion — approximately 10% — will leave, but most will stay in the location that made them wealthy in the first place. “We can afford to lose 10% when we’re gaining” revenue from 90% of those who are wealthy, she said. Similarly, the switch to “combined reporting” for corporate taxes is not expected to lead to businesses leaving NJ. Every state in the Northeast already uses combined reporting, and 92% of New Jersey’s businesses are already familiar with the practice, and consider it an ordinary part of doing business, Reynertson explained. Not suprisingly, NJPP’s revenue-raising suggestions are unpalatable to many current state legislators. And that’s where we come in. 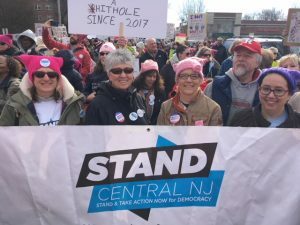 “We really are going to have to insist that [our new governor and state legislature] solve this problem,” said Dena Mottola Jaborska, associate director of New Jersey Citizen Action. “This…is really about courage.” Elected officials will need courage to advocate economic policies that put working families, and not the wealthy, first. 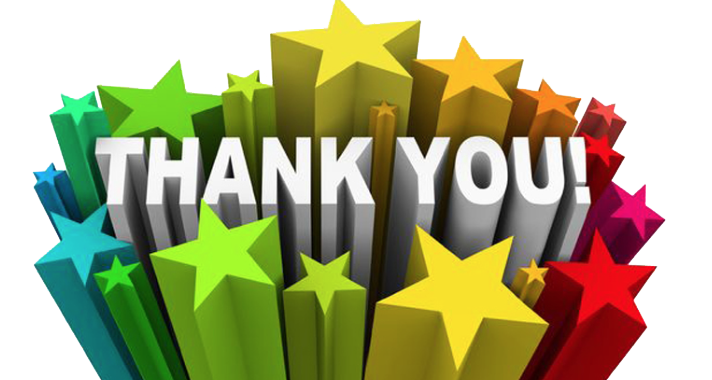 The public gives them this courage when we speak out, contact our legislators and show up at rallies. You can ask candidates about these ideas through a phone call, an email, a post on their FB or Twitter page, or a conversation at a campaign event. You can even ask them via a letter-to-the-editor of your local paper. Write down their answers, then send to dena@njcitizenaction.org or to New Jersey Citizen Action, 75 Raritan Ave, Suite 200, Highland Park, NJ. 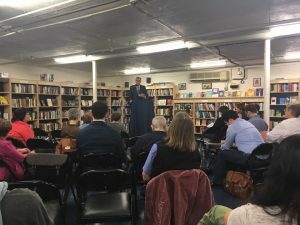 If you would like to watch a recording of the “Fix NJ’s Broken Tax Code” panel, you can find it here.